The Huawei P30 Pro, the Huawei P30, and the Huawei P30 Lite are official in the Philippines. Both handsets are now available for purchase in retail stores and partner establishments nationwide. The P30 Pro is priced at PHP 50,990, the P30 at PHP 36,990, and the P30 Lite at PHP 16,990. You can purchase the first two devices through credit card with up to 24-month installments at 0% interest. The third device is also available via credit cards in 6-month installments at 0% interest. Accepted credit cards include Metrobank, BPI, Citi, and BDO. The Huawei Active Edition GT Watch is also now official with a price of PHP 12,990. It comes in two colors, dark green and orange. 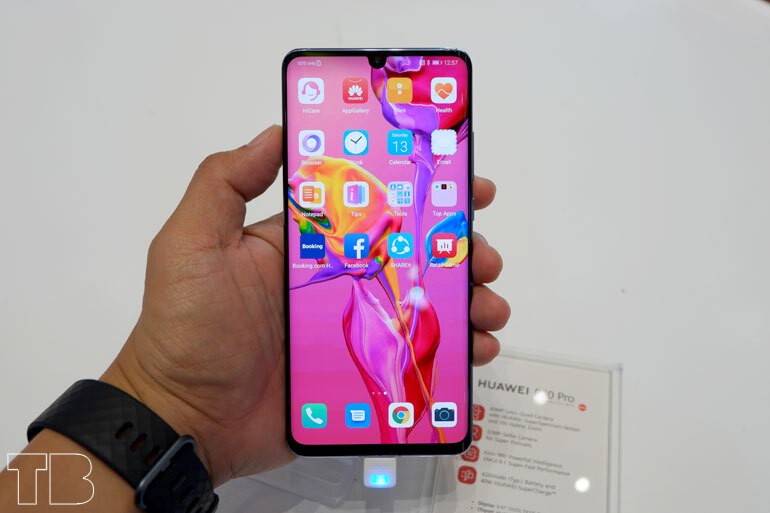 The Huawei P30 Pro has a 6.47-inch full HD+ OLED display, a dewdrop notch with a 32MP selfie camera, and an in-display fingerprint scanner. It has an octa-core HiSilicon Kirin 980 processor with 8GB RAM, 128GB storage, and a 4200mAh battery with 40W SuperCharge, 15W wireless charging, and reverse charging. For photography, the P30 Pro has four rear Leica cameras — three consisting of 40MP main camera with f/1.6 lens, a 16MP camera with f/2.2 ultra-wide lens, and an 8MP 3x telephoto; and a Huawei Time-of-Flight (TOF) depth sensing camera. Digital zoom maxes out at 50x. 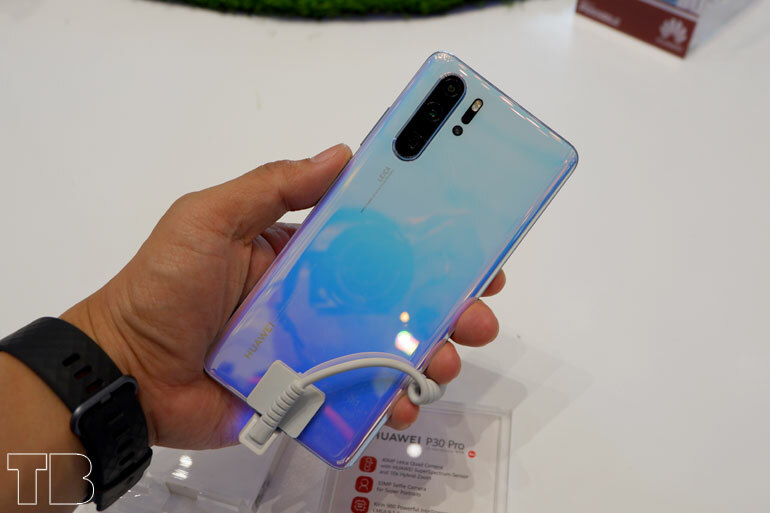 The Huawei P30, on the other hand, has a 6.1-inch 19.5:9 full HD+ OLED display, an octa-core HiSilicon Kirin 980 processor, 6GB RAM, and 128GB of storage. It has three Leica cameras at the back — 40MP + 16MP + 8MP, and a 32MP selfie shooter. The telephoto lens can zoom up to 30x. The phone is also powered by a 3650mAh battery with Huawei’s SuperCharge. And finally, the Huawei P30 Lite has a 6.15-inch full HD+ display with a dewdrop notch. It houses the 32MP front camera. Inside, it sports an octa-core HiSilicon Kirin 710 processor, 6GB RAM, 128GB storage, and a 3340mAh battery with Quick Charge. As for imaging, the P30 Lite has triple 24MP + 8MP + 2MP cameras. The secondary camera has an ultra-wide view, while the third one is for depth information.